Diploma in Electrical Engineering. Facts about Diploma in Electrical Engineering Department. What is Diploma in Electrical Engineering? 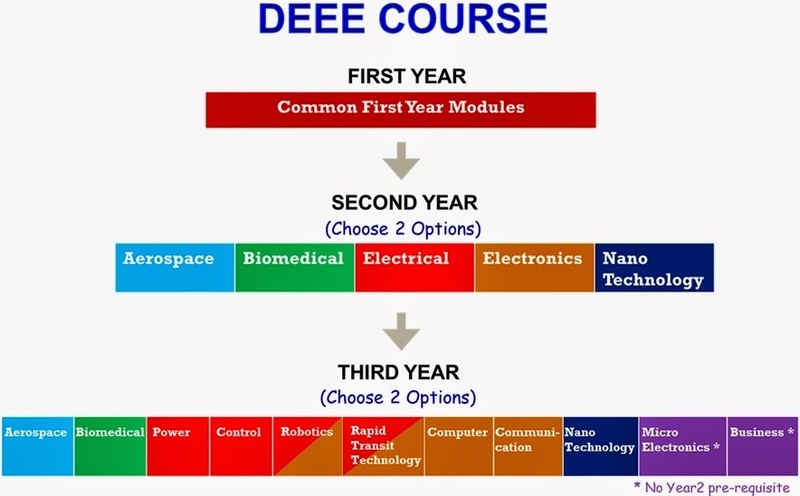 The Diploma in Electrical Engineering which is also referred as Diploma in Technical studies is mentioned as the technical degree which is below the level of undergraduate ranking aiming at providing students with some general level knowledge with regards to scientific, mathematical techniques and computing with sound knowledge with regards to communication of English. They should also have the experience of around 3 to 4 years in solving problems with the specified techniques. Many of the countries over the world are recognizing it similar to Inter-science or pre-engineering for the further studies. Once the candidate has completing the diploma course, students are free to continue their studies in the same field of engineering in the undergraduate level or can get employment as a foreman, supervisor, sales engineers, draughtsman, auto engineers, farm managers, workshop superintendents, workshop technicians and so on. In many of the countries candidates could apply for the diploma course once they have completed their secondary school certification or 10th grade examination. There are different disciplines on which one could concentrate on your courses of diploma like aeronautical, civil, automobile, computer systems, electronic engineering, electrical engineering, Mechanical engineering, mining, surveying, petroleum and so on. There are numerous options of career from which you could select the one which is going to benefit you. They would be offered a remuneration of somewhere around Rs 10,000/= per month in the initial stage. Numerous certification courses which could be selected for enhancement of skills are as under- SCADA, certificate program in PLC, Advanced programs in AC and DC motors and so on. A typical engineering curriculum concentrates on topics like science and maths world which could be bit tough to handle. Some of the programs which are included are as under- solid state devices and integrated circuits, robotics, communication systems, computers and power systems. In India, diploma is specific award for the academic candidates which are provided in vocational or technical courses like that of designing, pharmacy and so on. When there is studies with respect to engineering it is generally held in some of the institutes of polytechnic which are recognized by respective boards of states / Universities or the examination like that of UP Board of Technical Education. The holders of diploma are eligible for sitting in the examination of Association of member of the institute of the Engineers (A.M.I.E) membership. They are also eligible for the lateral entry in the third semester engineering courses of different engineering colleges in various technical universities like VTU, UPTU and so on. Diploma holders are efficient and are eligible for part-time entry in the Bachelors of Engineering courses in various Universities of Technology. Basic eligibility for the diploma courses are –like candidates should have passed SSC or some equivalent examination in the relevant field for the specific course. Candidates who have also passed their 2 years of the NCTV or the ITI courses are highly eligible for admission to their courses. There are numerous organizations who are dealing with the courses in the field of electric working and candidates have also got an option of seeking training online itself. Kindly post your replay for "Diploma in Electrical Engineering."